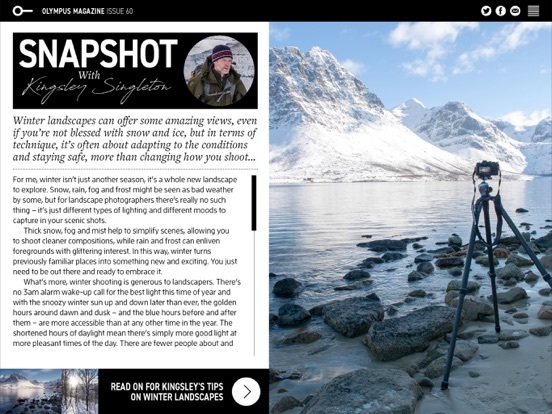 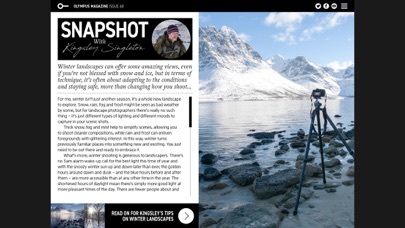 Looking for a totally FREE interactive magazine that’s written by photographers, for photographers? 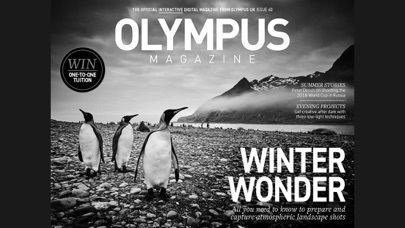 Olympus Magazine is packed with news, inspiring interviews, photo project ideas, kit competitions and much more. 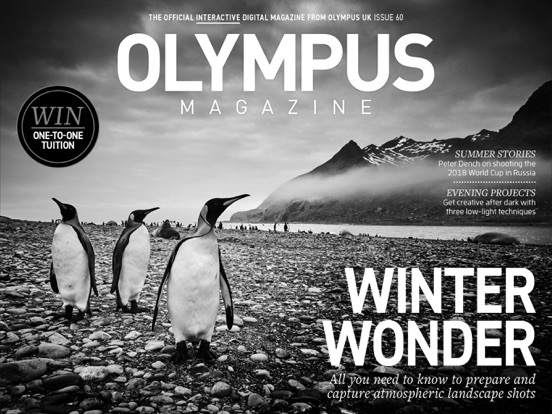 Download Olympus Magazine FREE and every issue of this fantastic mag will be sent straight to your screen. 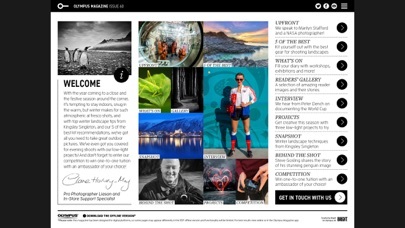 Designed for digital: if you want more than just a page-turner, you’ll love our interactive magazine where each page has been created to offer you more. 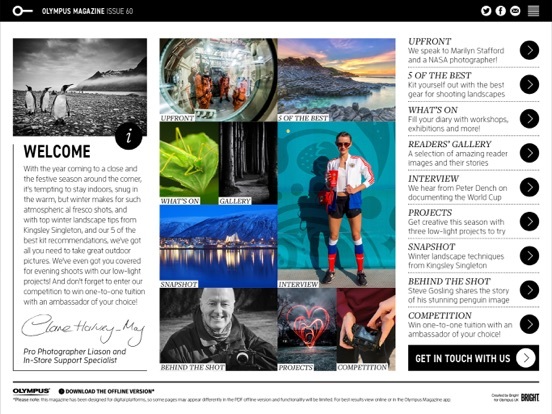 From galleries of reader photographs to tips and tricks from professional Olympus-users, and behind-the-scenes peeks at fashion photographer Damian McGillicuddy shoots, we’ve got it all. 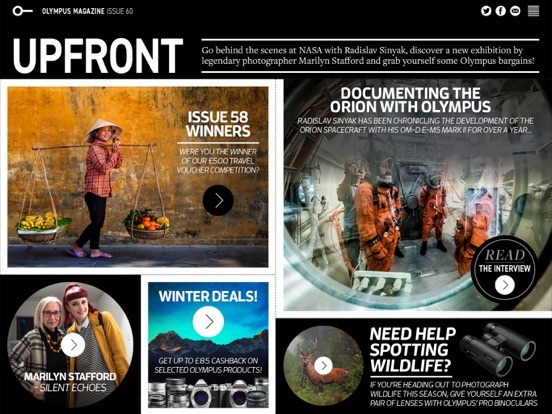 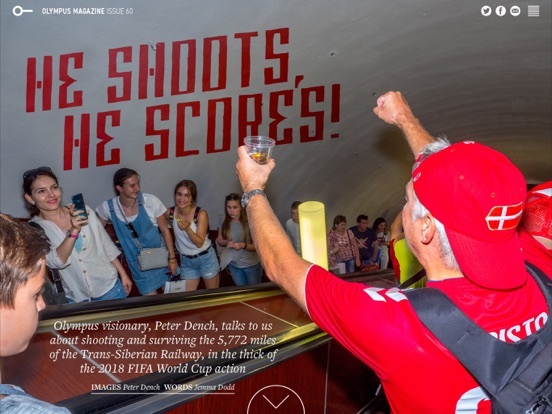 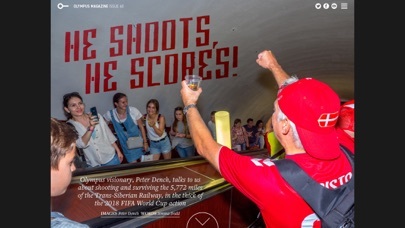 With our magazine it's not just the app that's FREE – every issue and all the interactive content is completely FREE, so what are you waiting for? 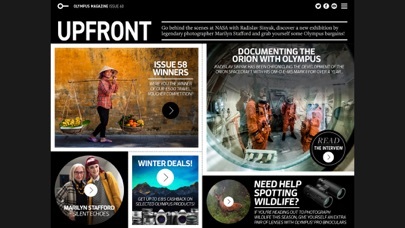 We work really hard to keep Oly Mag in tip top condition, but if you’re having any issues, or just want to say hi, please contact us at hello@olympusmag.co.uk so we can help, where we always welcome feedback.